I recently received a phone call from a close friend in Guam. I grew up there and so I was getting the usual run down on the latest news and updates from the island. Part way through the discussion , my friend started telling me about his frustration about a group in the Catholic Church that are causing issues there. He started talking about Neo-Cats ( people who follow the Neocatechumenal Way) and their influence on the Catholic Archdiocese there. Apparently, they have garnered such an influence that they hold key positions of influence, including that of approving new priests into the parishes on Guam. According to my friend, only new priests who ascribe to the neocatechumenal way are allowed assignment to the parish. 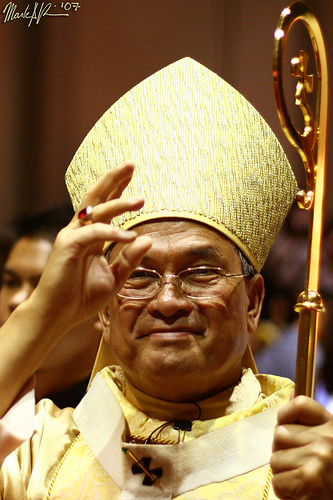 Apparently, the Archbishop in Guam has allegedly become a Neo Cat supporter. This has made this issue even more controversial for many parishioners and priests. 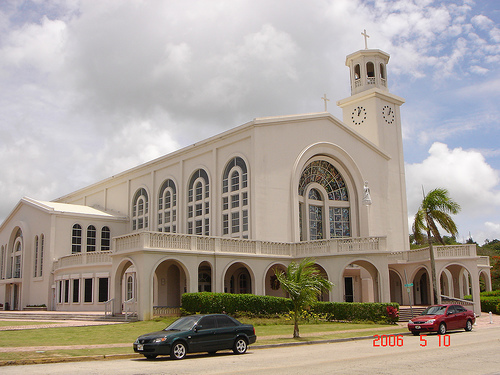 Appproximately 98% of Guam’s population is Roman Catholic and problems in the Church has an effect on the whole community. My friend’s whole argument is not with the Neo Cat movment itself but with its undue influence upon the church. It has become an “either their way or no way” type of environment. Neo Cat followers have become aggressive in their approach in the archdiocese with no tolerance to other communities within the Church. After the phone call, I was amazed at what my friend had shared with me. I had no idea there was such a chasm going on within the Catholic Church. I have not attended Church or been a practicing Catholic in years. I had not heard about the Neocatechumenal movement or “Neocat.” I decided to find out more. Something was happening back at Guam that was causing some of the most religious and non-activists people I know to protest for their faith. I found out that the Neo Cat Movement was started in 1964 by Francisco (kiko) Arguello and Carmen Hernandez in Madrid during their work with the poor and as a result of Vatican II. Post baptismal revitilization of christian life and education in the Catholic adult seemed to be the center of their work. 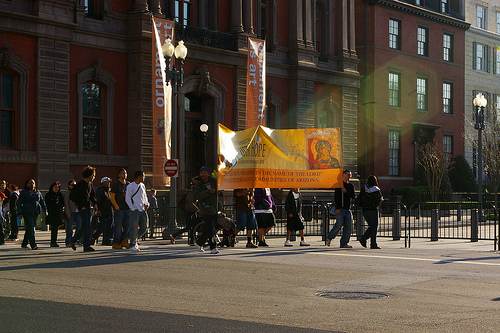 Themed through the process is Catholic evangelization. The Neocatechumenal Way is a form of diocesan implementation of Christian initiation and of ongoing education in faith. The Neo Cat Way is Pastor based. He leads a group of Neo Cat participants within a small community. They undergo a series of the steps that take them this process of maturing in christian understanding and dedication. They worship in these small communities. 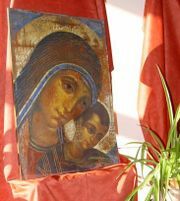 Weekly Celebration of the Word of God – Every neocatechumenal community has a weekly celebration of the Word of God, usually with four readings. Sunday Eucharist – The Eucharist is essential to the Neocatechumenate since the Neocatechumenate is a post-baptismal catechumenate, lived in small communities. Indeed, the Eucharist completes Christian initiation. The neocatechumens celebrate the Eucharist in the small community in order to be gradually initiated into full, conscious and active participation in the divine mysteries, according also to the example of Christ, who, in the multiplication of loaves, made the people sit down “in groups of fifty” (Lk 9:14). This custom, consolidated in the more than thirty-year old praxis of the Way, has born rich fruit. Life in the Community – The Neocatechumenate nurtures people in community life in a gradual and constant way by inserting them in a small community, as the body of the risen Christ, open to the life of the parish community and of the whole Church. A special moment for this education is the monthly day of convivence for every neocatechumenal community. In the convivence, after the celebration of Lauds, people share freely the experience of what God’s grace is accomplishing in their life and the difficulties which may have occurred are expressed, respecting the freedom of a person’s conscience. This fosters knowledge and reciprocal enlightenment and mutual encouragement in seeing God’s action in the history of everyone. The community helps the neocatechumens to discover their need for conversion and maturation in faith: differences, defects and weaknesses show clearly the incapacity to love the other as he is, destroy false ideals of community and provide the experience that communion (koinonia) is the work of the Holy Spirit. On the surface, the Neocatechumenal way seems like a very disciplined religious practice and focus to regenerate one’s faith and christian living in the catholic faith. Many communities within the Catholic Church have some form of traditions and rituals that follow in the same way. The Holy See and Popes like John Paul II have inidicated their approval to the intent behind the Neo Cat Movement. However, it is not principles of better christian living that is in debate here but it is the political control that the Neo Cat movment seems to be exerting in the Church. “In April 2008, the Japanese Bishops’ Conference sent a delegation “to discuss with Pope Benedict XVI “the serious problem” they are having with the Neocatechumenal Way and its seminary in Takamatsu diocese”. Peter Takeo Okada, Archbishop of Tokyo, said that “in the small Catholic Church of Japan, the powerful sect-like activity of Way members is divisive and confrontational. It has caused sharp painful division and strife within the Church. We are struggling with all our strength to overcome the problem but feel that if a solution is to be found, the consideration of Your Holiness for the Church in Japan will be of the utmost importance and direly needed” (UCANews – April 29, 2008). “Then the homilies: lay people – I repeat: lay people – do sermons that even if not called “homilies”, they indeed are. Only a priest or deacon can. These are dangerous abuses (Il Cardinale Medina Estevéz critica i Neocatecumenali: “Facciano Messe senza abusi: la liturgia non è proprietà di nessuno, tantomeno di Kiko Argüello”). The Neo-Catechumenate may have estimable goals, but my experience, and that of many others in the field, is not so positive. First, the Way in practice commonly exemplifies many of the qualities listed above for sects. For example, it demands a total and unquestioning commitment from its members and submission to the authority of its organizers, it is elitist and frequently divisive within parishes. It demands an excessive time involvement from priests/religious and/or it commonly acts without reference to existing parish structures. Second, in practice the Way rejects the Gospel commitment to inculturation. Inculturation is the dynamic and evaluative interchange between the Gospel and cultures, ‘an ongoing process of reciprocal and critical interaction and assimilation between them. As evangelizers we are not free to choose or reject inculturation. It is a Gospel imperative. As John Paul II says: ‘the Church’s dialogue with the cultures of our time (is) a vital area, one in which the destiny of the world…is at stake; and ‘the synthesis between culture and faith is not just a demand of culture, but also of faith. The Roman Catholic Church went through the horrendous child abuse scandals in the last decade, it has seen its membership dwindled in many areas of the world and now it has seen the rise of a divisive religious sect within its own walls. How will it handle its Neo Cat challenge? Man, the Catholic church is complicated! Whew! I need to get on wikipedia and learn about the basics before getting into all this detail! A divinity (divinity is the right name for the school to become a priest?) student I met tried to explain the scriptural source to me of some of the sacraments (?). I didn’t think it necessarily flowed clearly out of the scripture but it seems to be more tradition and the carrying on of traditions from when the church was centralizing knowledge and power to priests and its bureaucracy rather then to/with the lay people. But then that’s human nature. Robert, I will give you more details when we talk some time. There is an apparent schism growing in the Catholic Church faithful over the influence of this one group. there is an emptiness in you heart that is filled with your friends and other’s opinions about the Neocatechumenal Way. Perhaps it is time for you to search for the truth that only GOD’ grace can provide. Until then, lets not be the judge of something we dont understand. plz send me the photos of kiko. If the necocatechumenal way or “the way” is so wonderful, why all the secrecy? We have recently begun a catechisis in our Parish that was HEAVILY promoted by our pastor, a devoted follower of “the way”. Not once in advance of the catechisis was it mentioned that it would be conducted by a catechetical team from “the way”. Pity the poor unsuspecting folks that showed up thinking they were going to hear more about their “Catholic” faith, perhaps a primer on the Catholic Catechism, review of basic tenants, maybe a little bible study….most left scratching their heads in confusion and dismay. And I for one, was amazed to hear that even though I am a practicing Catholic, involved in multiple ministries, happily married with a well adjusted family… I am “dead”. The people of “the way” apparantly believe that you can only lead a Christian life (note they said Christian not Catholic) if you follow “the way”. We apparently are now second class Catholics in our own beloved Parish. Hi its realy interesting what you find about the neocatechumenal way, if you have the chance to read the statutes will be nice. 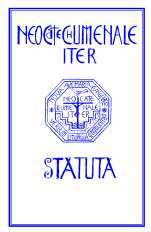 I can talk alot about the neocatechumenal way, because i belong to it , but everyone experiences is diferent. I do appreciate your feedback. There are different sides to the issue. I appreciate that the movement and the Way has enriched your spiritual life. Like many other things there are those who think differently. However, I respect that your spiritual perspective and experience. I am trying to find the original source. I think I found the picture in some news article. I will try to find source and when I find it, I will send it to you. The Neo Catechumenal way, is a baptism. And at the same, they are practicing the’re faith. And the Neo’s seeing themselves in the word or [in the gospel] because they believe, that “HISTORY REPEAT IT SELF” and the life and history of ISRAEL is our own history or our own life. That’s why ABRAHAM and you is one. Or the history of ABRAHAM is your HISTORY. My dealings with the neo cat church in shikoku japan was a nightmare. They seemed to be very bizarre and they did not inspire but rather freaked me and others out. I feel that many snakes are in their midst. I am delighted that they are having trouble and that many are now aware. I can stand by that “there way or no way” comment. They can disagree all they want, but the pressure they give their fellow members are not necessary. On another note, this is something I’ve been waiting for awhile. A faith that implies sentiments from the heart related to life in general relating to scripture/readings. neocats is not an organization or movement it is one of the many fruits of the church , this is a way to help us to rediscover our own baptism because as we all know we are baptise when we are an infant. And the very first question is , does our baptism growth in the face of the word of God. Personally, when I join this way 19 yrs. ago I first realized that I am a sinner and I understand why I committed a sin. Now I know who is JESUS CHRIST IN MY LIFE. After so many catechesis I understand now the real meaning of LOVE. Yes, eventhough the teachings are in proper order many members do not know the real essence of the neocats. I dont have the right to blame anybody. But Only God is the one to judge wheather neocats is really the gift of the holy spirit or not. I appreciate your comments and it is good to hear from both sides of the issue here. Thank you. Sadly my one and only experience of a neo-cat priest was very negative. Thankfully my faith has held despite what he said, did and didn’t do. I am not in “the way”, nor am I against it. However, based on my personal research and testimonies there are a lot of discrepancies of the way does compared to our parish settings; whether it be Mass, etc. For example, upon research I discovered that parishes in the US that had adoration of the Blessed Sacrament was stopped. Why? Supposedly, adoration is not a big thing for the way. I say what???? The Blessed Sacrament is not a big thing???? Come on people, do we not believe in the Body of Christ? It is discrepancies that the way implements their teachings is what I disagree with. Another thing I disagree with is, community members claim to be saved and that they are sinners and they live a happier and peaceful life. I beg to differ with more than several members on Guam as they present themself to be just as much of a sinner as an ordinary person. For instance, I can take the a checklist of the 7 deadliest sins and apply…most members of the way who claim to be righteous, I will still find them checked marked with the list. Its a movement that seems to be a popularity thing and members wanting to conquer every inch of the island or earth. Why the separation for Eucharistic Celebrations or “the feast” as they would call it? another discrepancy that I discovered is that supposedly they do not pray or do not believe the Nicene Creed. Why? Does the way contribute to its Archdiocese it celebrates in? If the way was so interested in helping people rediscover baptism, maybe they should not concentrate in increasing their numbers and help those who are in truly in need. For now, it seems like a numbers game…community members can be just as shallow. Heck, even some pastors. I’ve caught my pastor lying…but this is something on a personal level. Pray, Hope and don’t worry. –Padre Pio. Pray for our leaders in the Vatican. Catholicism is breaking and other faith demoniations will increase in their numbers because of the division in the Roman Catholic Church. I appreciate your comments and perspective. I was with the first Neocatechumenal way group in Agana. I left island after a year. Its a good thing. I appreciate your insight, Anthony. The NeoCatechumenal Way has caused a lot of stress within my immediate family. Some belong. I do not. I would be curious to hear the experiences of the people above who commented on leaving this “Way.” Please feel free to contact me. 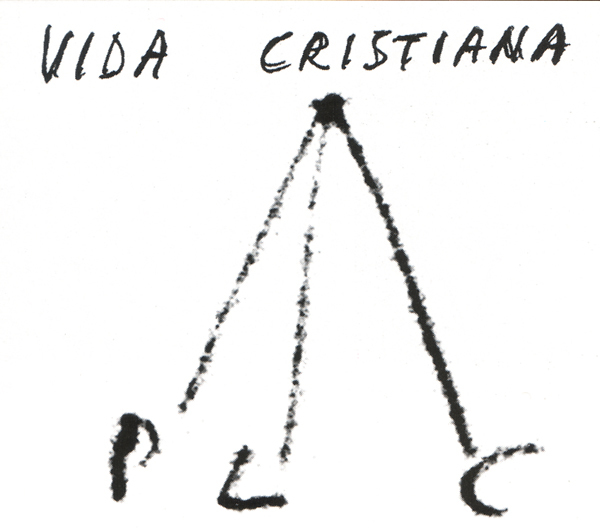 It is a very demanding, strict lifestyle with not much room or support for its members maintaining contact with those who do not “walk.” The comments from Carlito Cortez (no offense intended to your originality) sound verbatim – including the use of capital letters – like comments coming from other deeply entrenched members of this group. It seems to me that free, individual thought and reason is considered suspect and there is an overriding theme of these members “knowing” themselves and “the truth” better than anyone else, and, above all, being “saved” from a variety of problems by joining the Neocatechumenal Way. People who do not subscribe to this all-or-nothing doctrine are accused of being “empty” (as in another comment above). Just some alarming impressions. The time commitment and the guilt involved, as well as the foremost prioritization of “the way” by the members have created a lot of tension for my family. I would classify it as a cult, which no group member ever believes applies to them personally. Thanks for listening. Thank you for your sincere comments. In order for you to understand the concept set by the Neo-Catechumenal Way, you have to attend their Catechesis. Or, what you can do, is to read the Bible, particularly the Acts of the Apostles and the Epistles (Letters of Saint Paul). You will be able to understand the concept of The Way. I used to be biased with this group. I realized that it really was following the pattern set in the Acts of the Apostles regarding the early Christians. This was a concept set by St. Paul himself who went to different Christian communities during his days. The original name of the Christianity was called The Way. So, the Neo (new in English) is not new. It is an old concept followed by the first Christians. This concept disappeared when Constantine I declared Christianity to be the official religion of the Roman Empire in the 4th Century. Of course, Christians practiced their faith openly, until the OLD concept of Christianity disappreared through the ages and was revived in the 1960’s by Kiko Arguello. Bottom line, let us not judge, but LOVE one another, as Our Lord Jesus said. Take care and Peace be with you always. Thank you for your comments. I appreciate all the perspectives on this issue. I am for the NEO CATHCHUMENAL WAY, the real christian initiaitors. Thank you for your comments, Paz. I didn’t believe there was God until I encountered Him through the preaching of itinerant catechists from the Way 29 years ago. I was a poor lost soul with nothing to hope for and nothing to do except to make the most of my limited span of life: eat, drink and be merry for tomorrow I die. I am very happy to have discovered the richness of the Church’s faith passed on to me through this Way along with the many others who have discovered the treasure of their baptism and have changed their lives from miserable one to something full of hope. May the Lord grant many more years to Kiko and his team and the itinerants who gratuitously offered their lives for the service of Church and her faithful. Yes, contradiction, is the sign that this Way is authentic. It promotes unity but many people think of it as divisive. It’s God’s gift and I feel a deep gratitude to Him because of it. Thank you for your comments. I appreciate your sharing. These are the miracles I’ve seen so far of people whom I know very well and who are in the Way: former communist rebels returning to the bosom of the Church, former thieves earning honest living for their family and announcing the gospel from house to house and parish to parish, broken marriages remade, youth many of which were former drug-addicts who found their vocation in priesthood and accepted assignments to foreign countries for the sake of the Gospel and for the love of the Mother Church, flourishing vocation of cloister nuns to pray for the propagation of the faith and for the workers in God’s vineyard, families in mission abandoning their countries and comfortable lives creating parishes in places which ordinarily couldn’t be reached, scared mothers becoming open to as many children that God may allow and many more but just to mention a few. This is the first time I saw Catholics old and young ones from this group facing humiliations with courage in preaching the love of God to the malls, hospitals, prisons, public squares, everywhere, which only the non-Catholics were doing before. I know it will stand the test of time. Finally, there is the realization of the call of the late Pope John XXIII and the Vatican Council II. These poor and insignificant creatures finally without desiring are becoming the focus of everybody’s attention and controversy, a sign that will be contradicted. So be it Lord. May your will be done. Thanks Frances for your sharing. I was lied to by the catechists, cheated out of money by my brothers, judged and accused of things I hadn’t done by my community- then blamed for being upset by these false allegations, bullied, mocked and shouted at. Finally I was accused of not being forgiving enough for not wanting to put up with such behaviour! Though it is hard to believe, this kind of thing is passively encouraged by the catechists because they believe we are all worthless – ‘zero plus sin’. They think that we can only begin to grow when we discover how sinful we are. In my experience though what happens in reality is that communities die because after years of arguing and fighting everyone loathes everyone else. I haven’t experienced any love in over ten years of community life. Thank you for sharing your experience. It took courage. I just see a lot of ignorance and fear of the unknown out there. The Way is something to be experienced not to talk about. A tree is known for its fruits, and if all the popes since the beginning of The Way have seen the fruits and the action of the Holy Spirit, who are we to say that all the popes and the different dicasteries that recognized The Way to say that it is not catholic? especially those that have not had any experience within it. All catechesis and liturgies practiced within the communities has been finalized and approved by 5 dicasteries of the Holy See after studing everything for 8 years. Just this last Monday at the vocational meeting of youth of The Way in the presence of many many bishops and cardinals Kiko made the usual vocational call and 5000 young man and 3000 young girls offer themselves for the priesthood and the religious life. If this is not the Holy Spirit moving all these hearts then what is it? Like some one above said the fact that people critisize The Way falselly is proof that the Holy Spirit is fuling it. Remember, Christ was critisized by very religious people that were closed to the action of the Holy Spirit in Jesus Christ, so much so that they decided to kill him because his radical ideas and truthfulness did not go well with their hipocracy. Don’d be surpriced, when something is real it will be rejected by the world and those who pretend to be religious. Well, I am an ordinary parishioner in the parish led by two neocat priests. I have been participating neocat activities for 6 months. They acted like they haven’t heard anything when I asked about the Congregation of Divine Cult and Sacrament Discipline and it’s study about neocat ways to celebrate the mass. It makes me uneasy when people are not able to answer when asked this kind of things, with no need to keep secrets. And, if I was very enthusiastic member of the Way, I would like to be able to answer when asked about important things like this. Plus, the other priest said he didn’t know anything about the letter where neocats were adviced to attend the parish sunday mass once a mont. Of course, this kind of recommendations should come to parishes from the local bishop, too. I wonder how that Cardenal Arinze’s recommendation has been received among neocats in different countries. It makes me very uneasy when they act like they haven’t heard anything about these things. Do they have something to hide?